If you have a question which is not listed then please contact us. Plugin developers wanted - see this topic in the forum. 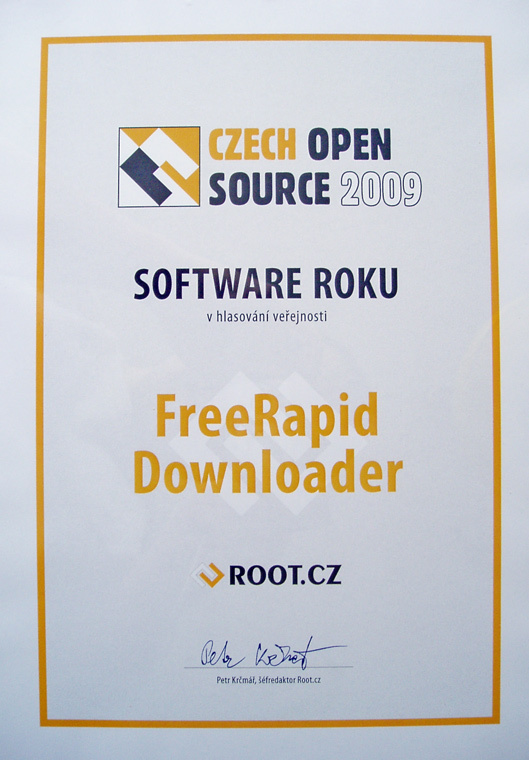 How the FreeRapid Downloader works? Does it work on Windows Mobile or Android? Can I use FRD from a command line only? 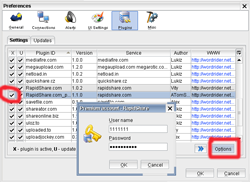 How to setup Rapidshare Premium account? How to setup Rapidshare server mirror for using? A downloading speed from RapidShare.com varies from 0B to 255kB every second, what's wrong? Downloading from RapidShare.com is slow (25kB/s), but downloading through browser is faster, what's wrong? Can be waiting time (15 minutes) on RapidShare.com eliminated? Downloading with my RS premium account is slow. What can I do? Is it possible to continue download in RapidShare even the download interrupted? How to setup video quality? Which video format has good quality among them. What resolution does it offer? Can you remove CAPTCHA from Hotfile, Filesonic, Fileserver etc.? Can you create plugin for XYZ.com? What does 'File input stream is empty' means? 'ERROR - all free download slots are full' What does it meen and how can i get over it and re download ? Why can't you recognize CAPTCHA picture automatically? The downloader always tells me read time out. I download from 2shared, rapidshare.com... Please tell me why? Why downloader uses 4 seconds pause before every download? Where are configuration files located? How to setup my Premium account? I get a warning from my antivirus about virus threat? Is FRD a malware or something like that? Do I loose my links when upgrading to the latest FRD version? Why is not FRD translated into my language? I see splash screen, but FRD does not start. What can I do? 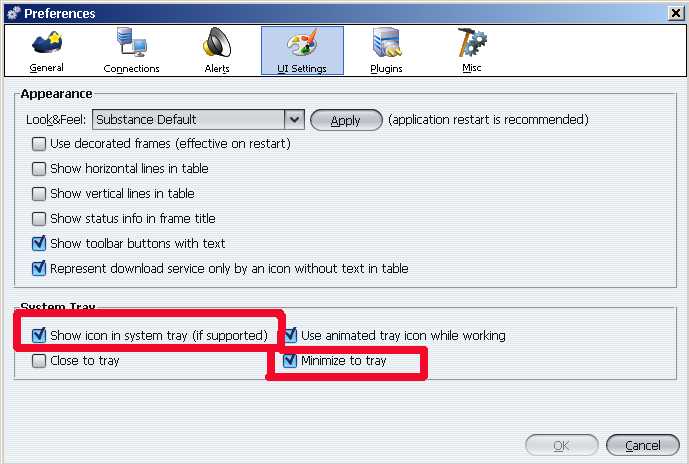 How to minimize application to system tray? How to startup FRD automatically after computer restart? 'Pause' doesn't work with downloading. I lost all downloaded data after resuming. Is it a bug? What is 'startup.properties' file and what is it good for? Can I set more download connection count? I use broadband ISP, so 10 is not enough to me. How to get the latest Sun Java on Linux (Ubuntu)? Where is syscmd.properties file located and how to set it up? Where can i find the previous version of FRD? How can I help to you? Why did you create another 'RapidShare Downloader'? How much time does this programming consumes? Like your webbrowser - there is no difference technically. FRD works like a clicking monkey for you. Sometimes we are succesful to eliminate CAPTCHA codes or waiting time before downloading. So what's the big advantage? FRD can download tens of files from multiple sources at the same time! No. 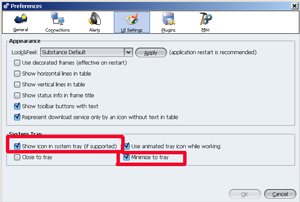 These platforms with limited Java features don't support Java Swing which is used for FRD's GUI. Support for these platforms is not even planned. At this time - no. FRD was developed as GUI application. Try to look for SlimRat or similar application. By default Free Rapidshare plugin is used. For using premium account go to Options->Preferences->Plugins->Settings panel, then find Rapidshare_premium plugin and activate it (click on the checkbox in the first column - X). To setup your login details click on the Options button. Confirm account details by OK button. Only numerical account ID is supported. Not all premium plugins are implemented yet. By default a server mirror is chosen automatically. 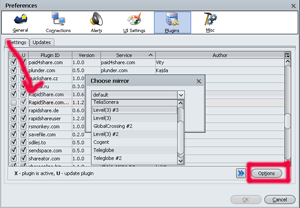 For choosing mirror go to Options->Preferences->Plugins->Settings panel, then find Rapidshare plugin. 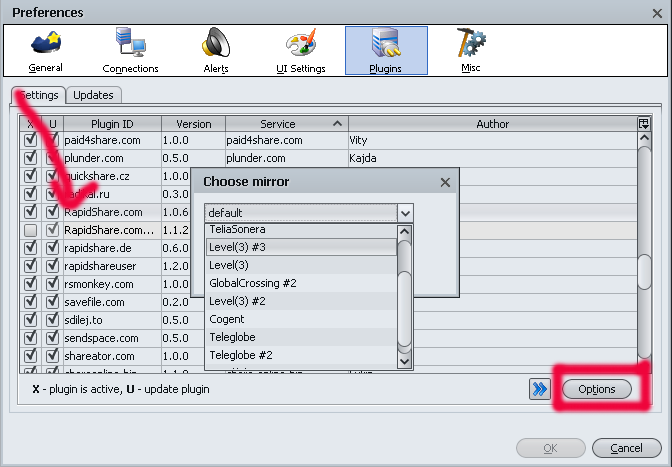 To choose your preferred mirror click on the Options button. Confirm changes by OK button. RapidShare.com sends data this way when their servers are overloaded. FRD is not responsible for it. RapidShare.com uses many server mirrors, you were probably simply lucky. Also a downloading speed on RS.com varies during a day - 25kB/s-255kB/s. It's not possible without changing your IP. You can use a proxy list. Sometimes we are succesful to eliminate waiting time in other plugins. And yes, you can buy a premium account :-). You should check your connection, because FRD is not responsible for it. FRD was tested on high speed internet connection without problems - see how simple is to reach 12MB/s using FRD. No. RapidShare servers don't allow this for free account. Only Premium accounts support resuming files. Quality setting is individual per each video. Every youtube video is available in N formats, from better quality to the lowest. There are N URLs of video to download. Plugin selects video quality (URL) based on user configuration in the dialog. "Highest available" gets max available quality from the list. If there are available less formats than user has configured, then plugin selects best quality of the formats. You can select video quality as resolution from the list. If the video does not have selected quality, nearest lower quality is downloaded. If there is no lower quality, then nearest greater quality is downloaded. No, we can't. Unfortunately ReCaptcha is impossible to recognize using computers due to its design. You can find more about it here: Recaptcha.net and en.wikipedia.org. Although we try to create plugin for as much as services as possible, there is only few of us, who are able to do that. Making of plugins requires a time and we are also humans with a real life. We can't spread a number of plugins indefinitely otherwise we wouldn't be able to find a time to fix them. We are already imune to asking like: "You would be the best if you would create/implement/whatever ..."
FRD asked for file, but FRD got empty response. It usually happens when server hostings are overloaded. That means the service you are trying to download from wants you to buy a premium account. There's nothing you can do other than wait or pay. CAPTCHA pictures were created to not be recognized simply by computers. We don't have a technology that would handle it automatically. Sometimes the CAPTCHA pictures are barely readable by human eye, don't believe in some fantastic algorithm handling such pictures. We alway try to beat CAPTCHA on every site (so you don't need to ask for it). I would work for IBM for $$$ if I have such universal algorithm. The error message indicates that FRD tried to connect to the server, but got no answer during 1 minute. The reason could be one of following: invalid firewall/antivirus settings, overloaded download service, using of invalid proxy or invalid connection settings. Most of services needs some "time for recovering" after finished or cancelled download - otherwise you could probably get error like "your IP is already downloading..." and you would have to wait other X minutes on such error automatically. So these few seconds save your time! By default Free plugins are being used. For using premium account go to Options->Preferences->Plugins->Settings panel, then find your requested premium plugin and activate it (click on the checkbox in the first column - X). No. If you downloaded FRD from this site => you can be 100% sure that FRD is clean. Antivirus software usually reports so called false positives. No. The list of links is stored in your shared configuration (home) folder. Simply extract newer version into new folder and run FRD (DO NOT overwrite files over older version!!). Because nobody translated it or previous translation needs an update! We have a step by step tutorial for this. You should check your firewall settings, something is probably blocking to start. Usually ESET Smart (@#$%^*) Antivirus is responsible for it. More about this problem (with this (@#$%^*) antivirus) you find in the forum. Put a shortcut of frd.exe to the "Startup" folder in Start Menu > Programs or go to Options > Preferences > General > Shortcuts > Start Up in FRD. No. FRD cannot support what server does not support. Some servers support resuming some of them not. Fans area creating a server list with resume feature in this forum topic. FRD support for resume is enabled automatically if it is supported by download server. File startup.properties is being located in the main FRD folder (location). This file contains special internal switches to change FRD behaviour. These switches override user settings in user preferences and this file shouldn't be edited by beginners. We don't think that all switches should be located and directly editable for user in User preferences dialog, therefore we created this file for experts and people with special needs. The structure for this file is simple. Every property (an option) is listed on new line. Internal properties names start with '-D' prefix (command line switches don't use this prefix). We currently don't have a complete list of internal properties, the most important internal switches are listed in this file. This file is located in FRD's home directory. We currently don't have specific settings for another OS. You can use Google to search how to call shutdown/restart command from external program for your 'UNIX like' operatingsystem. The file itself contains more description. We don't support older versions and hence don't provide them for download. New or updated plugins don't work on old versions of the program anyway. Please see Help us section. 1) Because I don't want to be dependant on the russian software, which is probably full of malware and spyware. 2) Because I can simply fix automatic downloading myself. 3) Because they have unintuitive user interface and missing important features. Plugins are quite fast to develop due to the wide API FRD provides, and also the newPlugin Ant task. Takes ~15-180 min per plugin depending on the site. Usually we use an app called GOCR to recognize captchas but sometimes something else might be necessary.